The BBC's excellent Top Gear show is highly entertaining. It is also built on a tried and tested formula, the presenters frequently make fun of this fact on the show. 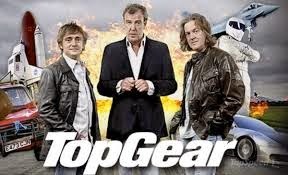 As good story tellers, they attempt to build suspense and intrigue with every one of their 'Top Gear Races'. Sometimes it will be Rally Car vs Snowboarder, sometimes, Car vs Speedboat vs Plane, but for this we're focussed on the classic - Train vs Car. The format is simple. The older kids race by train to a destination, whilst DaddyDaddyCool and younger child race by car (observing speed limits) to the same destination. The winner of the race is the team sitting comfortably with a cool drink at an iconic or picturesque location. Great hilarity ensues from bragging rights to the winner and the stories of the experiences along the way. When we had completed our the Top Gear Race this summer, it had the most profound effect on my eldest two children, as they visibly grew stronger and more self reliant. Not bad for a fun day out. - Produced plenty of funny moments, challenges, bonding time, excitement & stories to tell. - Carefully planned to minimise risks, but children must be confident, trustworthy and emotionally strong under pressure. - One adult can race 2 children, but ideally 1 adult + 1 younger child can race 2 or more older children. - Train tickets (First Class advisable), car parking and entry to the destination attraction. HOW TO HAVE A SUCCESSFUL AND FULFILLING RACE! - Are your children trust worthy? Can you leave them alone at home for 2+ hours without incident? - Can your children orient themselves? Have they managed to meet you somewhere other than home? - Are your children confident in asking for directions or help? - Are your children emotionally stable under pressure? If your answer to any of these questions is "I think so". Then it's a black flag for the race (i.e. DON'T DO IT!). You must be confident that your children can handle unexpected circumstances, and they must have proven that to you in the past. For example, my middle son (11) is an orienteering champion - he knows how to read a map. My daughter has managed school bus cancellations, deep snow and changes of schedule adeptly, using her mobile phone where necessary to get out of trouble. Both these kids are either head boy or top of their school academically. My risk assessment got the green flag! Train journey should be direct, point-to-point, with no changes, and preferably to a terminal stop. The car journey should be of equivalent duration given normal traffic - at the time of the race. 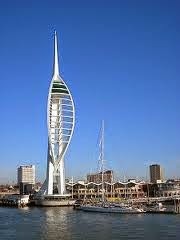 We planned a route from Woking Station to Portsmouth Harbour. The train terminates at Portsmouth, removing the risk of 'missing the stop'. The train line followed the A3/M27 quite closely, so that in the event of illness, or other problem, the car would be able to pick the older kids up from the train at any stop. The car journey should have been 6 mins faster than the train. 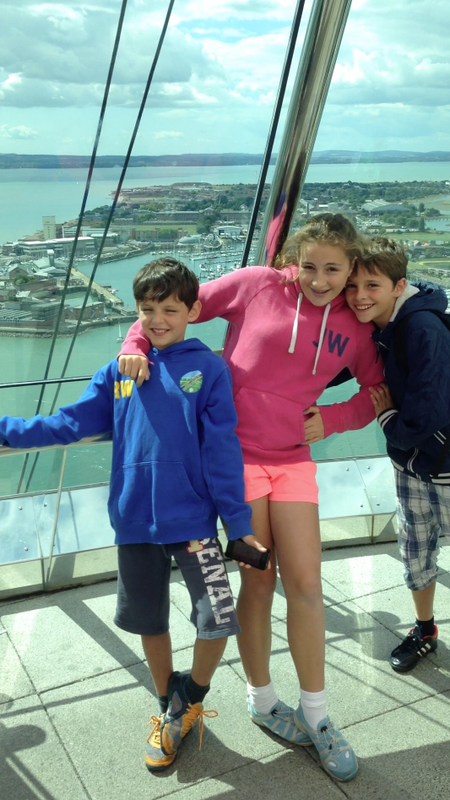 The destination was the cafe at the top of the Spinnaker Tower in Portsmouth. This left a 5-10 minute walk after the train journey, and a slightly shorter walk from the Gunwharf Quays car park. Notes: We planned for the 10:30 train out of Woking, and arrived 45 mins before this, allowing us to purchase train tickets (first class - with WiFi) and orient ourselves to the right platform. We then checked the older kids had what they needed in a backpack: train map, destination map, fully charged phones, snacks, water bottles & money. Then we sat down with Starbucks' frappucinos and talked about the challenge. This gave them a chance for last minute questions, of which there were many, and a chance to relax. A hurried approach to the start of the race would have been unpleasant and risked raising their level of anxiety. Firstly... VERY IMPORTANT... Tell someone else what you are doing that day. If there are any problems along the way (e.g. a road traffic incident or severe adult illness) then other adults that aren't involved should be on hand to help out, knowing what you're doing and where you'll be. Now.... download a location tracking app for each of the smartphones being used. Test these before you go. 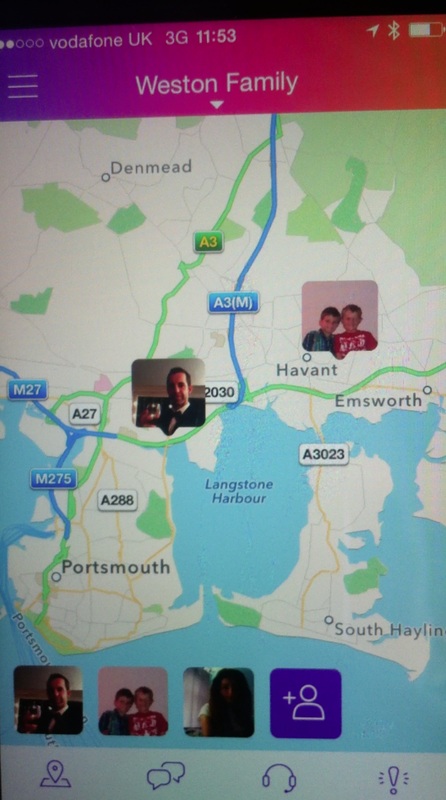 Keep the apps updated throughout the race, so that both 'teams' know each others whereabouts. friendly banter as you can. Video as much of the experience as you can, safely. Use a variety of viewpoints, from different devices: i.e. mobile phones, videocameras & go-pro cameras. Record locations, conversations, thoughts, fun, and experiences along the way. Give the 'Train Team' something to do on the train - e.g. research the destination for interesting facts. Have the 'Train Team' present those facts on video using Top Gear's conversational style. Notes: We used Life360 because of a mix of Apple and Android smartphones. It was laggy when not in 3G coverage, but this added uncertainty and excitement to the race. Apple's 'Find my friends' app is another good option. With all the preparation in place, the children happy and confident, and a sense of competition in the air. It's race day! Stay calm and positive at all times in order to engender the same attitude in your children. Get the 'Train Team' off to a good start by seeing them on to the train and waving them off. Don't 'Race' in the car - drive at speed limits, take extra care, and drive as safely as possible. Talk like it's a race with your younger child in the car. Keep track of your respective locations and likely destination time throughout. Throw in some adventure to the car journey: e.g. 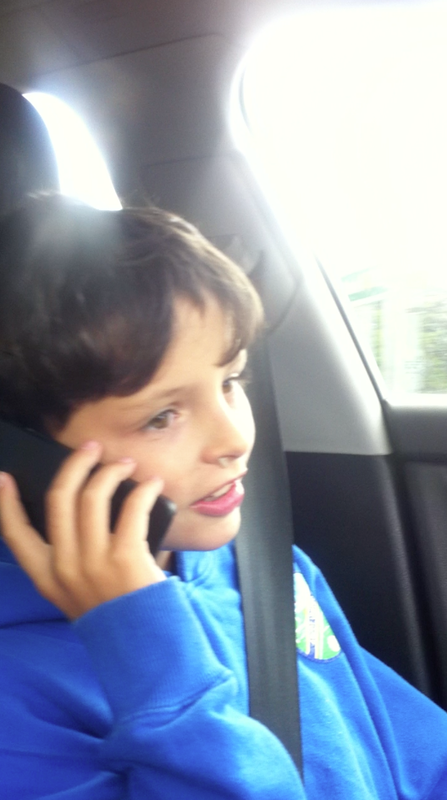 'Accidental' wrong turns, un-scheduled toilet stops, etc..
Have the children give updates on location on the phone. The 'Train Team' quickly took the lead, as the 'Car Team' negotiatied the Woking streets. But then the car journey was aided by a new tunnel around Hindhead on the A3, which quickened our journey, but also allowed for a Top Gear-esque video segment - open-windows and listen the engine roar. Shame I was in my 2.0TDI not one of the V8 supercars that Clarkson et. al get to drive in! We were on track to arrive ahead of the 'Train Team', and when the train was held up without a platform at Havant, I insisted on a toilet stop for the 'Car Team', and made it as slow and complicated a diversion as possible. The key here, is to keep the arrival times as close together as possible. I actually wanted the 'Train Team' to win, because it would build their confidence even more, and would make for a great video segment as the 'Car Team' arrived. After a long sprint through Gunwharf Quays Shopping Centre, the 'Car Team' arrived at the tower. The plan to be sitting in the restaturant 150ft up in the air didn't materialise because there was a long queue for tickets. The 'Train Team' arrived just 20 secs after us, and despite remonstrations from the youngest son, we called it a draw, and headed up to the restaurant en masse. Because we were in Portsmouth just before lunch time, we had plenty of time to visit the seafront, the small theme park, and have some fish and chips for tea before heading home. Making it a really fun day out and one that we'll talk about for years to come. If you have remembered to record the experience with your smartphones and videocameras, you'll be able to produce a Top Gear-style video short to show the family and friends. Once you have collated all the different photos and vide clips onto one computer, you can use simple video editing software such as iMovie (Mac) or Movie Editor (PC). If it is for your own use you can overlay your favorite songs or themes such as the chase theme from the Benny Hill Show, to sped up footage of the chase. Have fun with it, and remember to jump between footage from the 'Train Team' and the 'Car Team', to create the feeling of a race. Note: If you plan to upload the video to Youtube, make sure that you don't use commercial music. Youtube tend to ban videos where they suspect copyright is being infringed. Of course, the video is a great tool to help remember the experience and look back on in years to come. But the main purpose of the activity was to have fun, build confidence, and make memories. This can all be done without videos, but by talking about the activity with friends and family after the event. This is exciting for the children and helps them develop an ability to put experiences into words, tell compelling stories, and speak to adults - all very useful life skills! Ensure that the end destination is quickly accessible without queueing. For a close race, there may only be less than 10 mins difference between the teams. Even a short queue can put a spanner in the works. Ideally we would have purchased the tower tickets beforehand, but even then the queue to go up in the lift would have made for no clear winner. Make the challenge harder for older children. If children are familiar with travelling by train on their own, then adding a train change for them would add complexity and challenge. Only do this if your children are very familiary with the train system! Involve other types of transport. If you are in a large city, then there are typically many options for getting from A to B. We discussed running a similar race in London using tube, riverboat, bus and bike. For this we'll need to join up with more people (and responsible adults). But it does sound like fun!